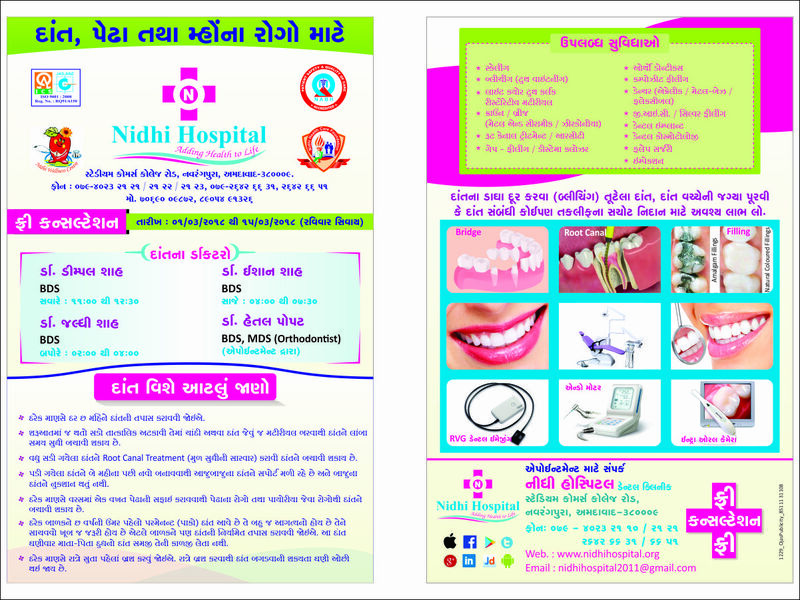 Nidhi Hospital is centrally located in the heart of Ahmedabad. It has embarked on the mission of “Adding Health to Life” of our patients across the globe. We at Nidhi Hospital have always believed in clinical excellence and we have been progressing in that direction. 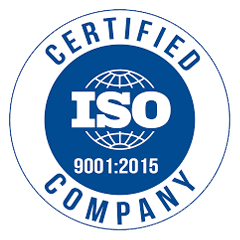 Our excellence not only reflects in technical aspects, but we have been extremely careful regarding the infection control protocols,hospital hygiene,clinical pathways,disaster management and are committed to Corporate Social Responsibility. Nidhi Hospital an ISO 9001:2008 institution is also the first midsized hospital in Ahmedabad to have NABH Accreditation.It has its focus on continuous improvement on all fronts and is on its journey towards developing benchmarks and quality indicators.We provide excellent patient care with highest international standards. Nidhi Hospital has completed 9 years at Navrangpura and 20 years in Ahmedabad. Nidhi Hospital has procured one of the Endoscopic Ultrasonography Unit and has become one of the very few distinguished corporate hospital of Gujarat to have Endoscopic Ultrasonography Unit. In the Obecity and Metabolic Surgery department of Nidhi Hospital, many patients have undergone Laparoscopic Obecity and Metabolic Surgeries and have benefited in their co morbidities like Diabetes, Hypertension Dyslipidemia in addition to weight loss. Under the Leadership of Dr.Dipak Patel (M.ch Neurosurgery) our Neurosurgery department is doing excellent neurosurgical work for the patients of Head Injury,Brain Hemorrhages and Brain Tumors. Our Neuro Surgery department is routinely doing Transnasal Endoscopic Pituitary Surgeries & Spine Surgeries. Nidhi Hospital is catering to all specialties except invasive cardiology and routine obstratic PRACTICE. Orthopedic, Joint Replacement, Trauma Unit, Urology Unit, Neurology Unit, ICU, Isolation-ICU & Critical Care Department, Dialysis Center, Gastroenterology, G.I E ndoscopy, Laparoscopic Surgeries and Gastro Surgeries Department have all been performing very well over last many years with the help and support of our Consultants, Medical and Para Medical staff. We have handpicked all our staff members to provide the best patient care services to our patients. They have been instructed to consider each & every patient as their family member. We are proud of Nidhi staff members & sure that you shall also appreciate their commitment and dedication to achieve our mission of Adding Health to the life of our patients. We are proud of our association with you & privileged to be helpful to your patients.